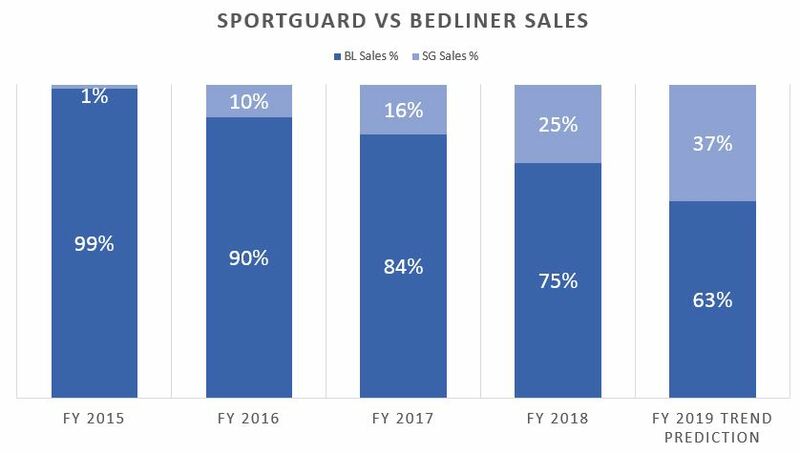 SportGuard is gaining considerable traction as the bedliner of choice around the world, with huge growth in sales volumes to both OEM and aftermarket channels since its launch in late 2013. In 2018 we expect to see the sales volumes increase again, with more businesses seeing the benefits SportGuard can offer, including some OEMs making the switch from traditional bedliners to only SportGuard. As a distributor for an OEM national or aftermarket network, you likely have a stack of bedliners to sell in your market. But it’s also likely that you only getting enquiries from dealers for one or two units at a time. There is no way to efficiently send a single bedliner to the other side of your country…. unless you’re willing to chop a perfectly good liner into pieces. That’s exactly what we’ve done with SportGuard, and by doing so we have overcome this MAJOR limitation of traditional bedliners. SportGuard has changed the game of bedliner distribution, reducing a unit from 1.7m3 for a traditional bedliner to just 0.34m3 for SportGuard. The other benefit of a smaller carton size is the large space savings compared to the nightmare of storing small quantities of bedliners in warehouses or workshops. Shipping bulk units via less than container load (LCL) or full container load (FCL) is also made even easier than before. With SportGuard, we are able to achieve container volumes higher than traditional bedliners by flatpacking each part together. Contact us to find out more about the exact quantities we can fit into a container. In a market of very little variation, pickup owners and even retailers struggle to see the difference in bedliner brands, often overlooking the disparities in quality and functionality. Instead they’re scoping the price tag as the only point of difference. For this reason, SportGuard sticks out like a sore thumb and instantly grabs the attention of pickup owners and retailers alike. The bedliner market finally has a product customers can see a difference in and can justify buying over a competitor’s product. Pickup owners are excited about their trucks, and they want to also be excited about the accessories they choose to fit. SportGuard offers all of this, pointing to its success in the market. SportGuard has some unique features that provide the vehicle user with great benefits. The first and most obvious is the SportGuard’s non-skid floor. This is achieved by forming the floor from a high-quality thermoplastic elastomer (TPE). This material is essentially made from combining plastic and elastomer (rubber). By bonding them together into a hybrid material, we can utilise the attractive properties of both materials. The result means we get to maintain the durability and rigidity of plastic to withstand the harshest of knocks, while using the elastomer to create a non-skid surface. This is a superior material to any plastic ever been used in a pickup bed before. The superior aesthetic is also another drawcard for truck users. When designing SportGuard, we understood it was no longer “just a bedliner”. We wanted the look of the product to match this uniqueness and superiority too. To create a better look and feel, we used chunkier lines, a tighter fit, and a sleek aluminium tag name-badge to tie in the overall aesthetic. 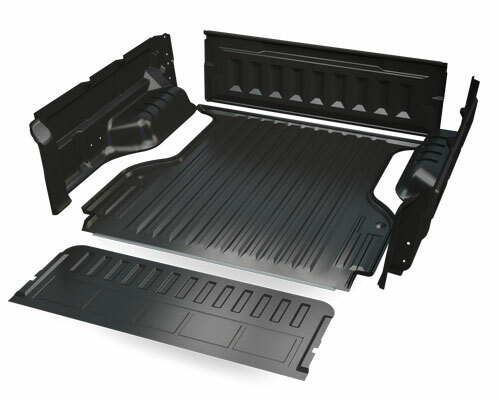 Put it all together and you get what is often considered the best-looking bedliner on the market. When you’re paying staff by the hour, you want them to be maximising their capacity in order to get the most value. In some cases, the fitting time of SportGuard is 50% less than a traditional under-rail liner. With its snap-fit channels the fitting is easier, more intuitive and can be done by a single person without any drilling or special tools. Some customers are switching to SportGuard purely on the basis of ease of installation. Alternatively, with SportGuard’s very simple non-drill fitting and door-to-door shipping, SportGuard has opened up a whole market of customers who can order their bedliner online, receive it in the mail, and fit it in minutes on their driveway. It is due to these reasons we are seeing an exceptional uptake on SportGuard around the globe. Noticeable benchmarks for SportGuard include Volkswagen Australia, which in 2017, switched 100% of its bedliner accessory programme to SportGuard. SportGuard is currently available for 13 key double cab pick-up truck models including: Ford Ranger T6, Toyota Hilux Revo (A and J-Deck), Nissan Navara NP300, Mitsubishi Triton, Isuzu D-Max, Holden Colorado, Mazda BT-50, Fiat Fullback and Mercedes Benz X-Class. Next Post Next Article. Tango – What is it exactly?